Everyone feels anxious from time to time. Stressful situations such as meeting tight deadlines or important social obligations often make us nervous, worried, or frightened by that experience. Experiencing mild anxiety may help a person become more alert and focused on facing daily challenges or threatening circumstances. However, individuals who experience extreme fear and worry that does not subside shortly after a challenging, stressful event or circumstance may be suffering from an anxiety disorder. The frequency and intensity of anxiety can be overwhelming and interfere with daily functioning. 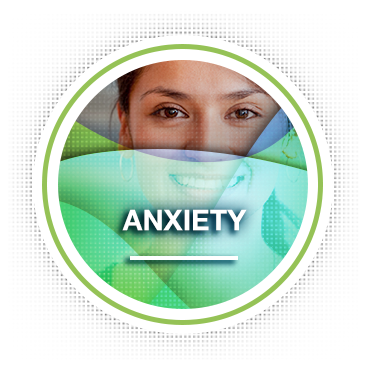 The majority of people with an anxiety disorder improve considerably by getting effective treatment through counseling. Experiencing anxiety is the most common of all mental health issues. Research into anxiety related symptoms has shown that up to 1 in 4 adults will have an anxiety disorder at least once in their lifetime. It’s important to know that you are not the only one experiencing these symptoms and connecting with a trained licensed professional is extremely normal. At Family Solutions Counseling Center, our licensed therapists are highly skilled to help facilitate an environment that allows individuals to explore their anxiety in a safe place, to help you find the words to describe how you feel, and to be heard and supported while developed healthy coping skills.